The Everest trek offers a different experience compared to the treks you can do in Ladakh – which I’ll admit, is my favourite Himalayan region. Sure, Solukhumbu is not the place for a wild adventure or a village trek where you would be one of few tourists and gain real insight into local life, staying with families and helping with the everyday field work, but it is certainly high on my list of favourite trekking destinations. I feel good there. I love the new energy I gain crossing the tree line. I love the fresh thin air, the scenery and the vistas, the hospitable, always smiling Sherpas and all the hard working porters you meet on the way who are always ready to share greetings and smiles. Above that, I love the warm, golden rays of the sun lighting the world's highest mountain peaks in the evenings and mornings. I had my first glimpse of Everest on the second stage of the Everst trek from Lukla (2860m), between Jorsale (2775m) and Namche Bazaar (3450m). It was a steep and tiresome climb – the first real test of your fitness. I knew from Kev Reynolds' guidebook, that you could see the giant from the way. How lucky we were! 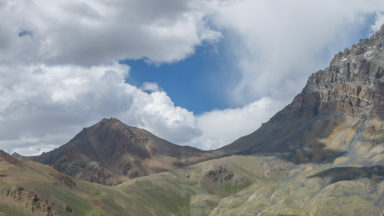 When asked our guide was surprised we could see the mountain from there – it was cloudy on all his previous visits. 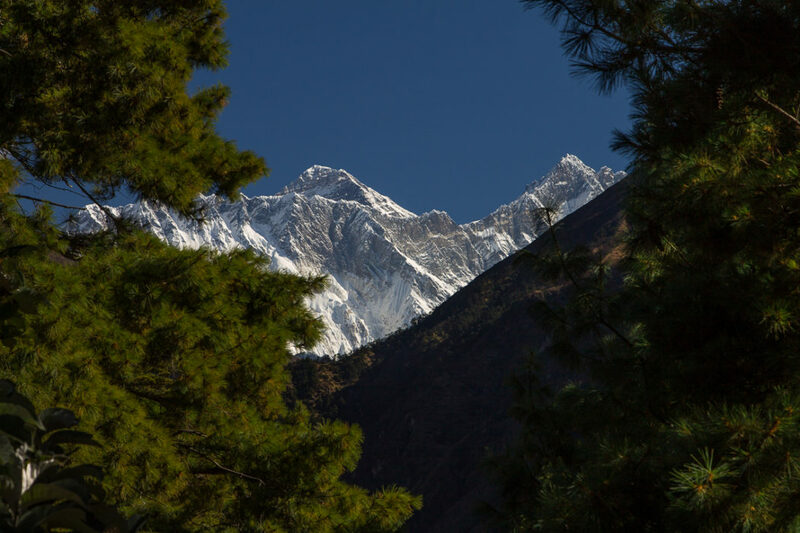 It is a view from the forest: the Everest seen between the tiny branches of the Himalayan pine trees (Pinus wallichiana), the peak rising above the Nuptse-Lhotse ridge. The first Everest view on the way to EBC. 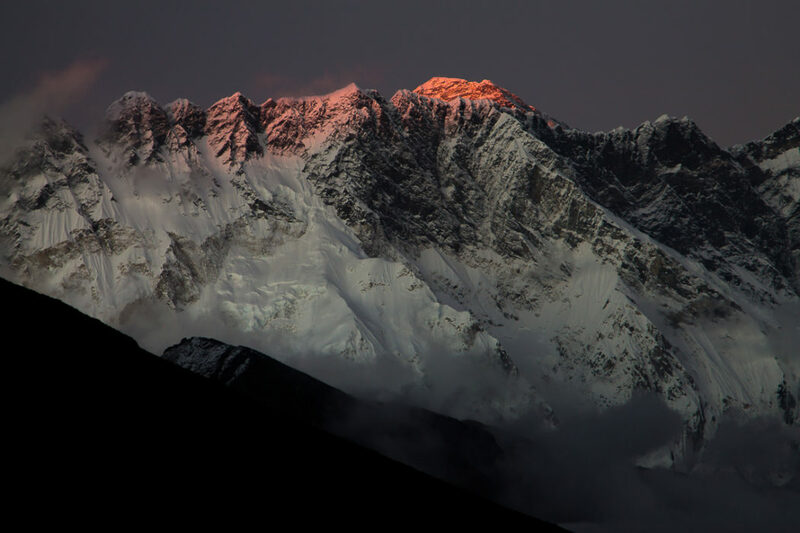 Nuptse-Lhotse ridge and Mt. Everest behind it. The ascent between Jorsale and Namche Bazaar. The acclimatisation hike that we did between Namche and Thame gave us fantastic views of Kangtega (6782m), Thamserku (6608m) and Kusum Kangguru (6367m) on the return way. We were slow that day and probably spent too much time at the Everest Summiters Lodge in Thame. The place belongs to Apa Sherpa, who has reached the Everest summit 21 times and is listed in the Guinness World Records book. It was almost dark when we were approaching Namche. At dusk, still in the forest, we had a chance to see a Himalayan monal – Nepal’s beautiful and colourful national bird. Beyond Namche, on the way towards Thyangboche and Pangboche, along the Dudh Koshi and Imja Khola rivers, you follow a magical traverse. The views are stunning. 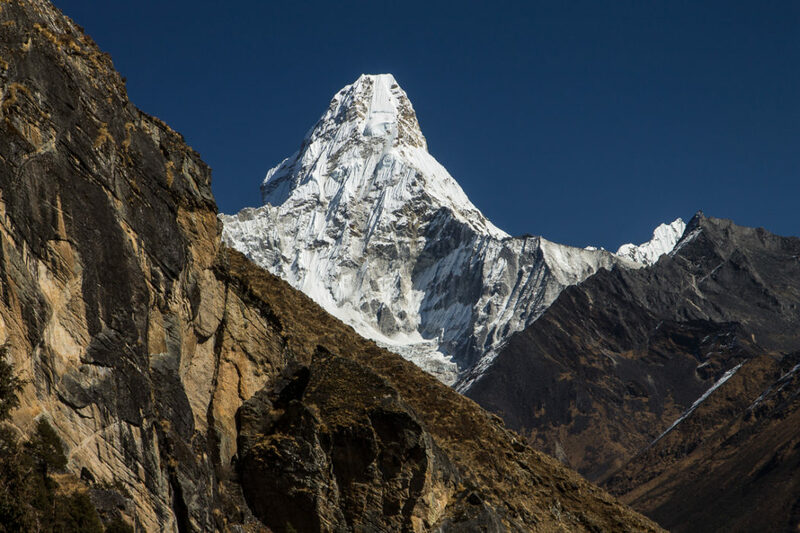 Thamserku and Kangtega are on your right then Ama Dablam (6856m), which is regarded by many as one of the most beautiful mountains in the world, can be seen ahead, on your right. 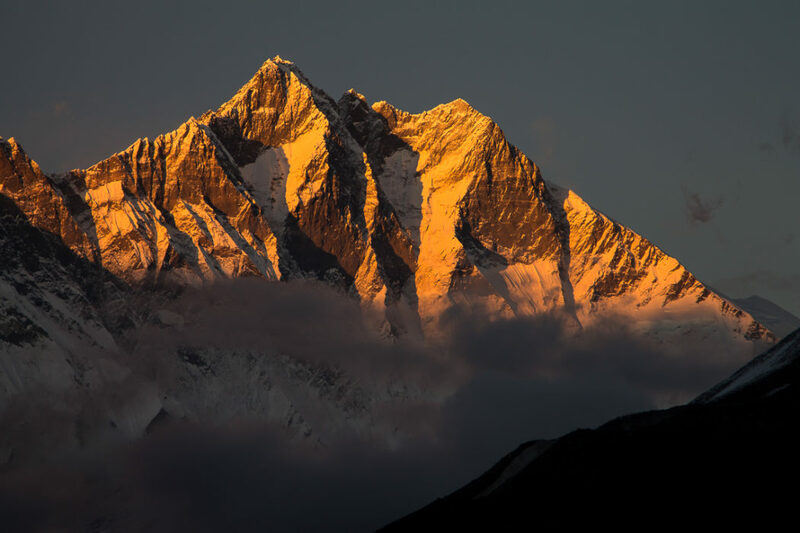 Beyond that, the impressive Nuptse-Lhotse ridge with the crown of Mount Everest above it blocks the valley in front of you. As you approach Pangboche (3990m) you come closer to the Nuptse-Lhotse wall and Everest slowly disappears from the view. 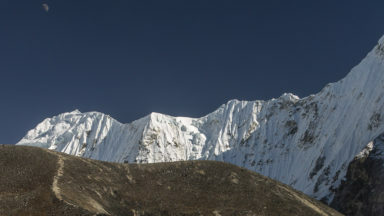 Nevertheless, from Lower Pangboche you can still see its highest part. We were lucky again. Clouds which usually come from the lower elevations along the valleys in the afternoon were tiny that day and dispersed in the evening and so we had magical views at sunset. Ama Dablam was just above us on the right in beautiful gold, the Nuptse-Lhotse Ridge and the famous Lhotse South Face in warm orange. 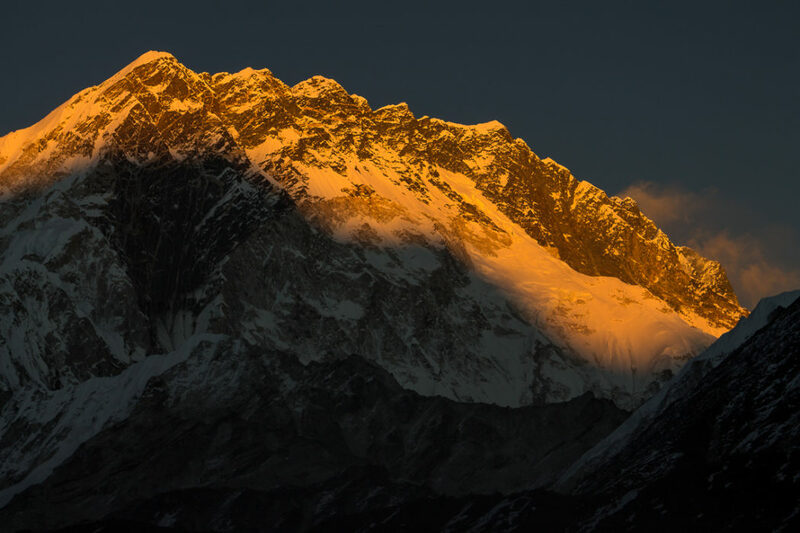 And then, when they were all dark, Everest was still shining like a golden crown above the ridge. The side walk to the Ama Dablam Base Camp gives more fantastic views from yet another perspective. 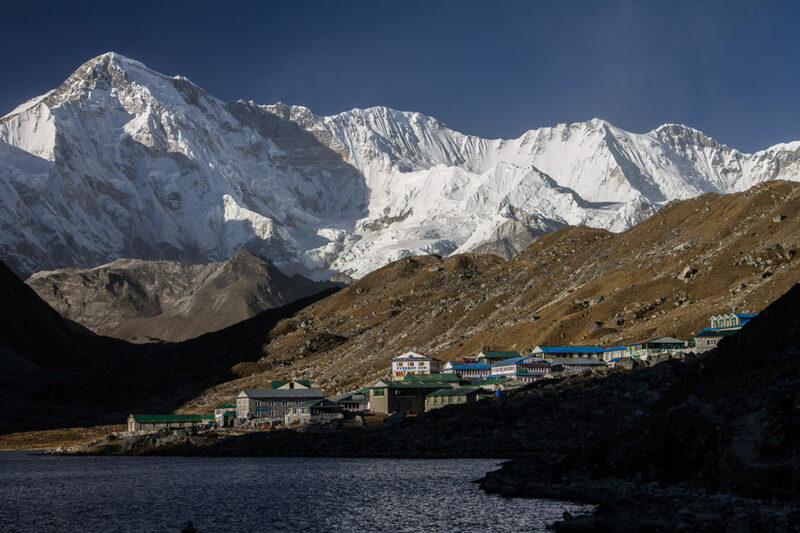 It’s definitely worth spending two nights in Pangboche and doing the hike. Walking towards Chukhung, the famous Lhotse South Face is just in front of you, left of the valley. Whenever I see it I think about the courage one needs to consider climbing it. So how much courage does one need to actually attempt it? 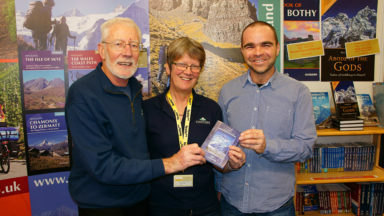 The wall was challenged by both Reinhold Messner and Jerzy Kukuczka – the first two climbers who reached the summits of all 14 Eight-Thousanders. Kukuczka died during his second attempt of the South Face in 1989. 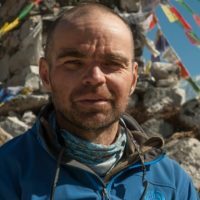 The main summit of Lhotse (8516m) was finally reached via the South Face by a Russian team in 1990 (Sergei Bershov and Vladimir Karatayev). 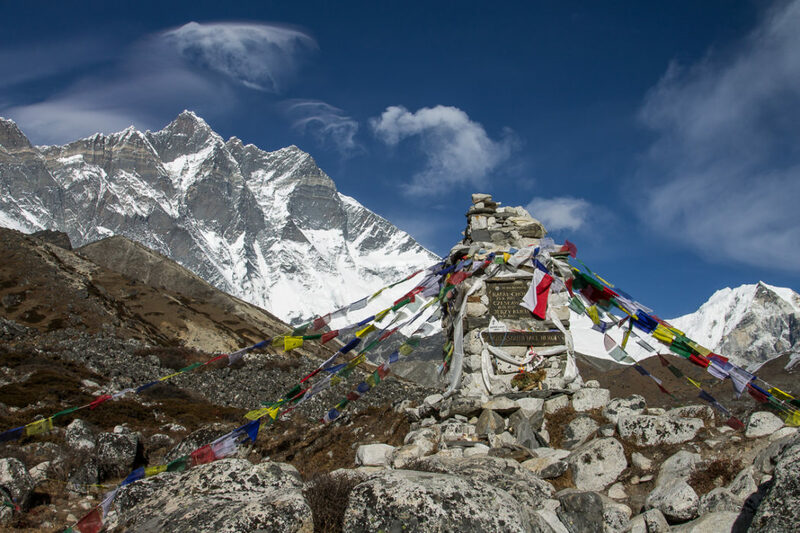 On the way between Dingboche and Chhukhung you pass a chorten commemorating the Lhotse South Face Polish heroes. 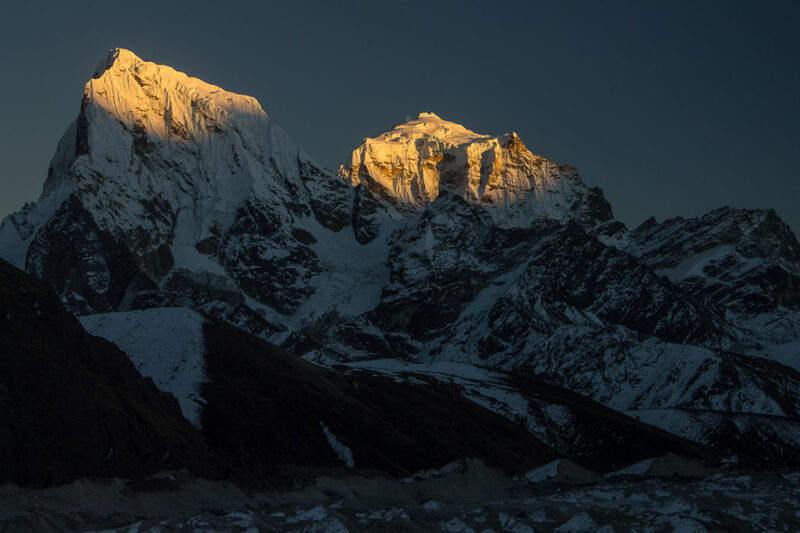 There is another chance to see Makalu on the return way to Dingboche. 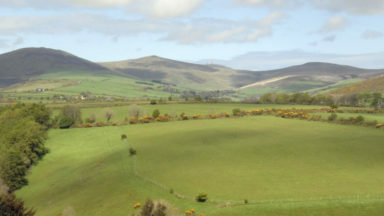 It is behind you and behind the ridge, which closes the valley. When I was there in autumn 2014, it was shone beautifully, orange in colour, with the valley and all the nearest ridges already dark. 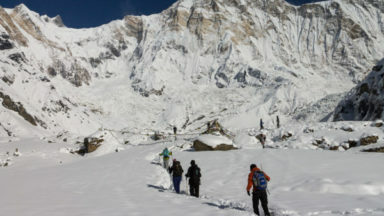 Lobuche (4930m) is the next stopping point for most of the trekkers heading to the Everest Base Camp. Evenings are magnificent there! 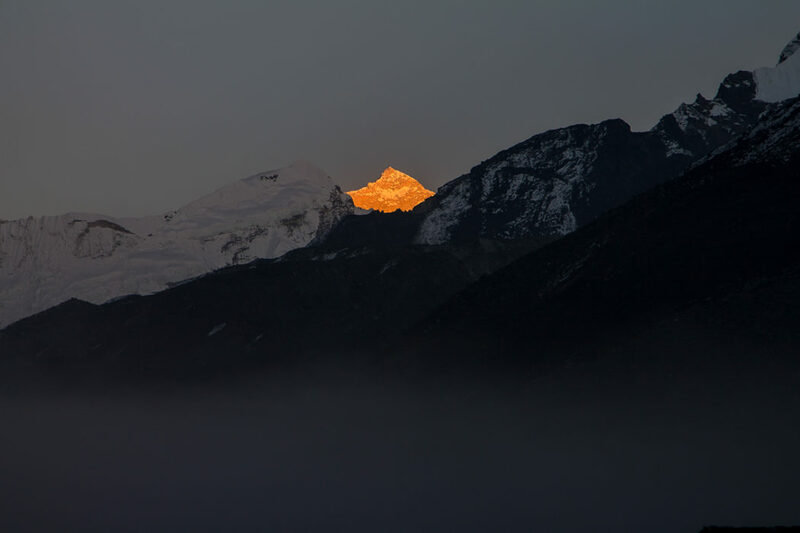 At sunset, just in front of you, the Nuptse (7861m) ridge, on the other side of the Khumbu glacier, is coloured a warm orange and is visible from most of the lodges. 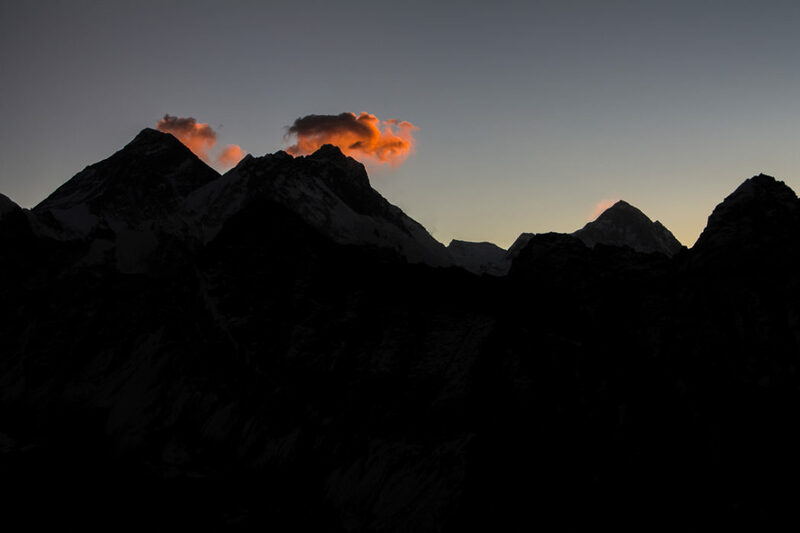 And Pumori (7161m), lit brightly by the last rays of the day, rises above a dark spur behind the Lobuche lodges. 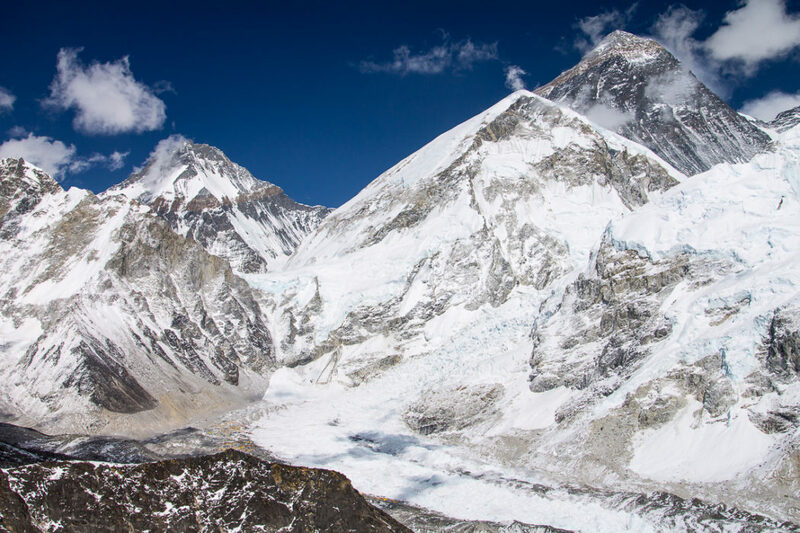 Finally, Kala Pathar (5623m), probably the best or at least the best-known Everest viewpoint, can be seen. Gokyo with Cho Oyu towering above it. 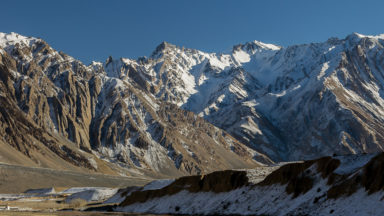 Dudh Koshi Valley. The return way down the Dudh Koshi is far from boring. You pass the same places but usually at a different time of the day. The weather conditions might be different too. You see the mountains from another perspective. And now, as you descend, walking is easier and demands less concentration, giving you more chances to admire the scenery around you. No doubt, there is much more to Solukhumbu than it being the main trail to the Everest Base Camp. As a man lucky enough to have visited the region a few times, I can't resist thinking about more treks there. The three passes trek, the upper Bhote Koshi valley and the route between Jiri and Lukla are just a few of the adventures on my list. If you plan to go, try to arrange more than the usual 11-14 days in the area. It's worth it!